Intensive Industry training camp (IITC) is an annual training programme, conducted by Swecha that improves students learning capacity with a team driven environment. Going beyond simple technology Introduction with assignments, IITC provides an integrated system that consolidates technology learning through project simulation. This would be a 10-day residential camp held at a campus for all the students of nearby Institutions. The participants will also have Games, Impact Sessions, Team-Building activities and much more., along with the Technology. By this way, Swecha incorporates the Personality Skills inclusively by training technically. 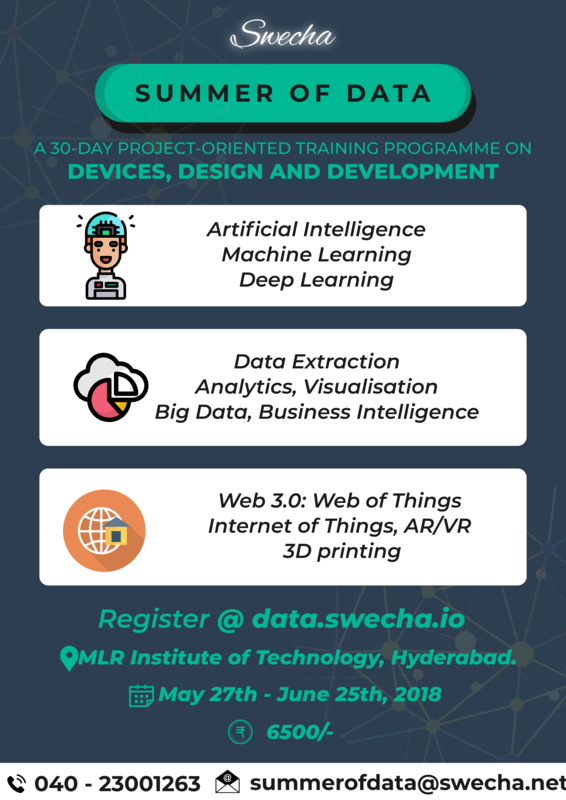 Swecha summer camp assures satisfying learning experience on the Emerging Technologies by interactive and effective training aiming to bridge the gap between IT and Academia. In long­run, Swecha aims to aware the participants about the alternatives to the Monopolized Proprietary tools and also make them a part of the contribution. 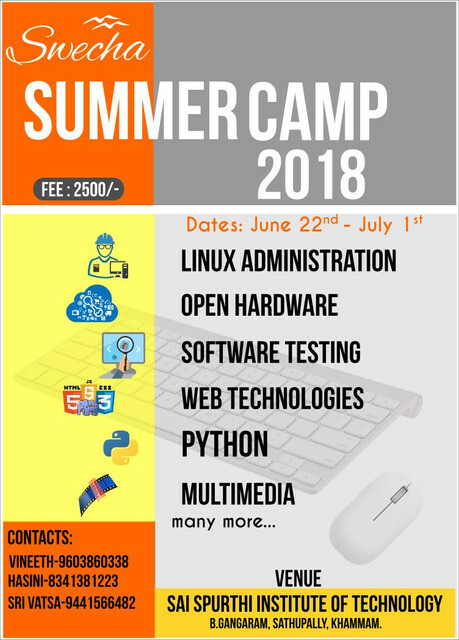 Since 2014, there have been Summer camps organized at Khammam.